Public Health officials should acknowledge that the benefits of smokers quitting smoking far outweigh the minor risks of vapor – even to bystanders. Once again, public health lands on the wrong side of the vapor product debate. Public health should be encouraging smokers to switch to these safer products, rather than making baseless claims. It seems like they’d rather smokers keep smoking! There is no evidence that vapor is “invading clean air.” In fact, the vapor has antibacterial properties. These products aren’t for non-smokers, they are for smokers, who are exposed to thousands of chemicals and dozens of carcinogens. 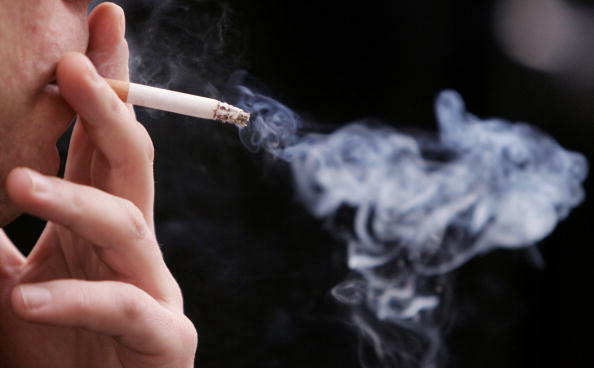 The small amount of vapor a non-smoker would be exposed to in public spaces pales in comparision to the health risks to a smoker and his family if he keeps smoking. Unfounded health scares only serve to keep those smokers smoking. The “chemicals detected” in vapor products have not been found in harmful levels and it is disingenuous of public health officials to not disclose that fact and make it seem like there have been harmful levels found. The formadehyde story has been criticized for its inaccuracy. Formaldehyde has not been found when the products are used as intended. Researchers only found formaldehyde when the devices were heated to levels far beyond normal use. Yet, public health keeps making this false claim. Some smokers who use e-cigarettes do continue to smoke, but they smoke less cigarettes than before. Those smokers are typically just starting out and haven’t switched completely yet. Or they are using an inferior device – like something they may have purchased at a gas station. Clearly, “dual use” of those nicotine products are not a concern, so why should it be a concern for those using vapor products? Many people using e-cigarettes are still transitioning and haven’t quit fully yet. There is no evidence that those folks will NEVER quit. In fact, hundreds of thousands of smokers are reporting that they have completely quit! E-cigarettes may not have been “proven safe,” however, after 10 years on the market, researchers have failed to find anything but minor health risks to adult smokers and no risks to bystanders. Compare that to a product public health pushes on smokers: Chantix. That product has also been on the market for 10 years, resulting in numerous reports of serious adverse effects, including over 500 deaths. Because of this, the FDA requires a “black box” warning of the serious side effects. Regardless, the FDA stated that the benefits of quitting smoking outweighed even those significant risks. The same standard should apply to e-cigarettes and vapor products. Clearly, with no serious adverse reports, no deaths and no harmful levels of any of the chemicals detected to date, vapor products are unquestionably a benefit that outweighs the risks. It’s time Public Health officials acknowledge that fact and stop this irrational war on these products. Should they be sold to minors? No. But it is already against the law to sell to minors in Wisconsin. However, all of the scare mongering being done by Public Health is keeping thousands adult smokers in Wisconsin from switching. THAT is what’s truly bad for Wisconsin’s children. By kristinnollmarsh in News, Press Release on April 14, 2015 .